He practices those words. 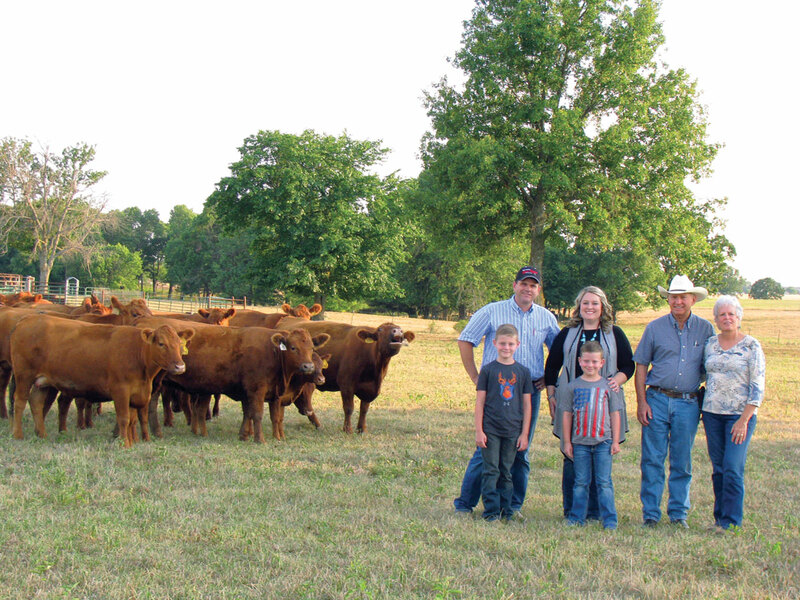 Steven and his wife, Jamie, help operate Rogers Cattle and Lile Farms Red Angus located near Strafford, Mo., in Greene County, with Jamie’s father, Jim Lile, and his wife, Jan.
“I have lived here since I was 18 months old,” Jim said. So he has lived there for 63 years. Steven and Jamie moved back to the farm in the fall of 2010. They have two boys, Eli and Ethan. “We are the third, fourth, and fifth generations to live on this farm,” Jamie said. 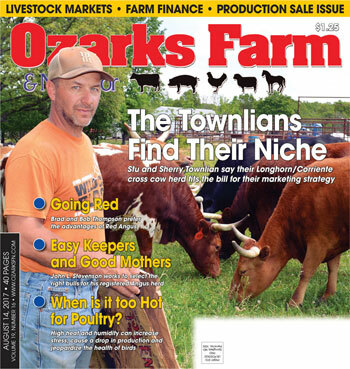 They have been raising Red Angus since 2004. “We think all breeds are valuable. We believe in crossbreeding, so I don’t know that we believe one breed is better than another. Each breed has their own strengths and weaknesses,” Steven explained. “When I bought my first Red Angus cattle it was because I wanted cattle that were selected based on objective measurements, and Red Angus has a very solid data base where we collect as much information as possible about the cattle. That helps us to get high accuracy and quality EPDs. So I believe the scientific approach to cattle breeding is really important, because we can get a lot from using the data. Steven said the Red Angus have an excellent disposition. “We’ve got little boys around here, so they have to be gentle,” Jamie added. Besides disposition, Steven said they appreciate the Red Angus as replacement females. Their Red Angus are registered, as are their crossbreed cows. 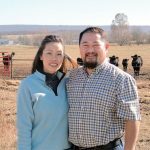 The family has worked hard to “make sure our cattle work in fescue country,” Steven said. Each March, Rogers Cattle and Lile Farms hold their own production sale at the farm. “Everybody gets a fair chance at an animal by doing it at an auction. 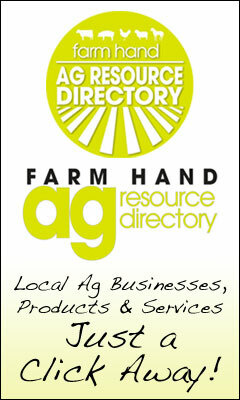 By doing it here on the farm, a buyer gets a chance to see an animal’s mother,” Steven said. They have had their production sales for four years now. They do offer some purebred females; whether that’s cow/calf pairs or replacement heifers. They also sell through private treaty. But no bulls are sold from December to March. Their calving season is from Feb. 1 to April 15 and they also have a short fall calving season. “We have about 15 fall cows,” Steven said. Jim’s wife, Jan, keeps a close eye on the heifers during calving season and calls if help is needed. They are utilizing embryo transfer in their breeding program. There is a lot of work and fun on and off the farm. 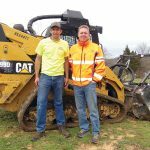 Jim Lile and daughter, Jamie, operate Lile Quarry in Northview, Mo., Steven is Southwest District Supervisor for Agricultural Education and FFA. Eli (8) and Ethan (7) are learning a lot about the farm. Eli has shown cattle for two years, but Ethan is just getting started. “What we do as a family right now, everyday, is shaping these boys for their future,” Steven said.